If You Can’t Stand the Heat – Get Out the Kitchen! 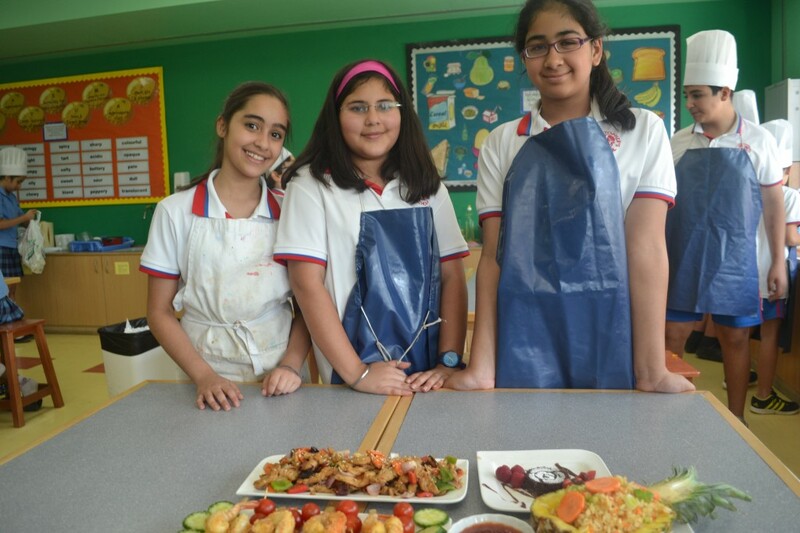 After half a term of learning different cooking techniques and recipes during DT, Year 6 were set the challenge of a Junior Master Chef cook off competition. 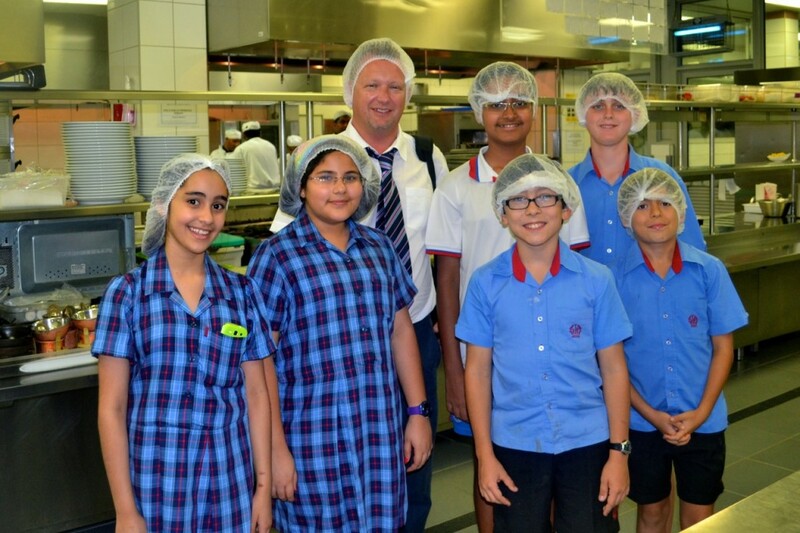 They had to work in small teams and produce a 3 course meal within one hour – not an easy task for anyone, let alone for Junior School aged children. 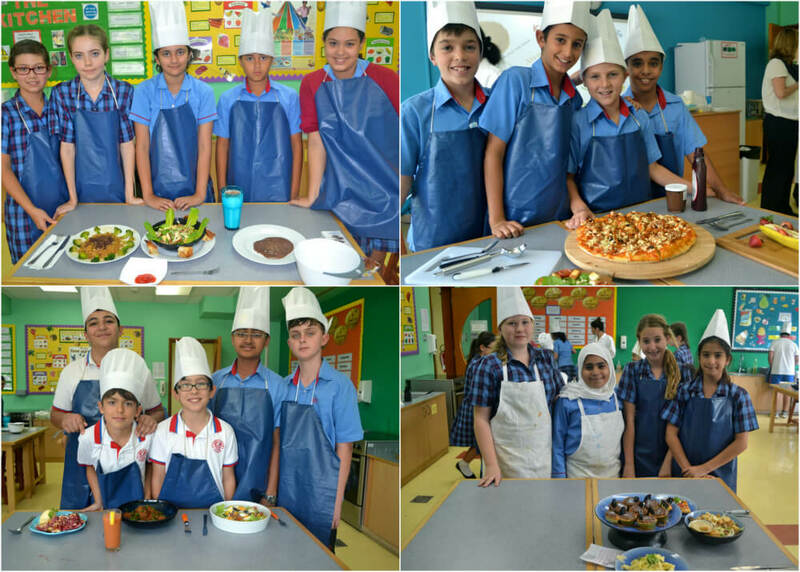 Year 6 really rose to the challenge, competition was fierce and heads were buried in recipe books with teams deciding on their dishes. 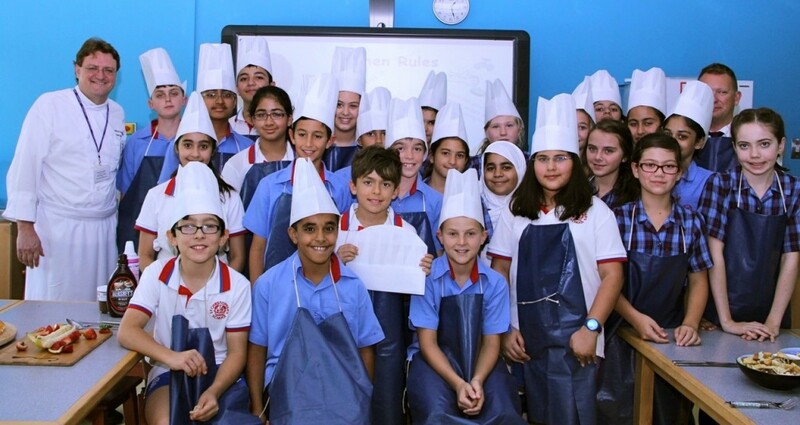 Each class from Year 6 had the opportunity to demonstrate their culinary skills, with the best team from each class going through to the finals. With the finals on 19 June the pressure was on, particularly as they were to be judged by Mr Alfred Zuberbuehler, Executive Head Chef at the Mövenpick. Excitement and determination was high as pupils started to prepare their work stations for the competition. Deep fried tiger prawns with chili sauce, meatballs with couscous and coriander and Oreo cakes were only a few of the varied menu items being prepared. Chef Zuberhuehler was very impressed with the range of food being prepared, “It was a great pleasure for me to come in and see the kids working, their enthusiasm was just amazing and the results of their work, superb. The overall quality of dishes was outstanding; I was truly amazed that Year 6 children could produce such a quality”. The Winning Team: Athena Puri, Aleena Fawad and Eman al Haddad. The Runners-up: Jack Roycroft Sherry, Sam Caley, Diptanshu Chakravarty, Tommy Macphail and Caidem Jasem. The winning team and runners-up had a wonderful time experiencing behind the scenes in the Mövenpick kitchen.